Programs, courses, and both educational as well as social support services offered at Beacon College are all designed to enhance the learning experience for college students with learning disabilities and/or ADHD. 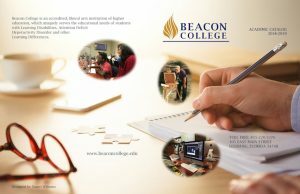 The Beacon College Academic Catalog is the official document that should be reviewed by the student to best understand what the College has to offer him/her. Each academic year, the Catalog is prepared utilizing the best information available at the time of publication. The statements in the Catalog should not be regarded as a contract between Beacon College and the student. The College reserves the right to revise information, policies, rules and regulations, course offerings, academic requirements, student life policies, or fees when deemed necessary or desirable by the administration. Every effort will be made to notify students affected by such changes if they occur. The student is responsible for staying apprised of all changes.  Click on the link below to download the Beacon College Academic Catalog in PDF format.